Mike is an audit senior manager in KPMG's Silicon Valley office. 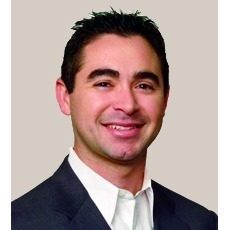 Mike specializes in providing audit services to software and SaaS companies. Mike is not following anyone. Mike is an audit senior manager in the Silicon Valley office. He has eight years experience with KPMG in the Technology, Media and Telecommunications practice providing services related to financial statement audits, audit of internal controls, and financial reporting. Mike specializes in providing audit services to software and SaaS companies and has provided professional audit and accounting services to companies in various stages of growth ranging from public companies to emerging private companies. His audit experience includes SEC filings, business combinations, debt offerings, and the successful coordination of global audit teams. Mike was mentioned in a VatorNews article "The Series A crunch and your options"
Mike was mentioned in a VatorNews article "How not to hate VCs"
Mike was mentioned in a VatorNews article "Series A crunch or just bloated expectations?"